Just saw the news via Mike Newman’s twitter. © 2012 Race Results Weekly, all rights reserved - used with permission. (07-Dec) – DyeStat.com, which established itself as the most important website in American high school cross country and track and field before it was purchased by ESPN and eventually shuttered, will be revived through a new partnership with RunnerSpace.com. Ross Krempley, RunnerSpace.com president, said that DyeStat.com founder John Dye would again be involved with the site he created in 1999, and that site users would have access to all of DyeStat.com’s valuable archives. 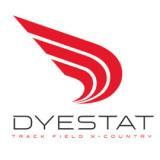 In 2004, DyeStat.com was purchased by Student Sports of Torrance, Calif., which in turn was purchased by ESPN in 2008. When ESPN closed its high school sites in September of this year (ESPN RISE), Dye reacquired the DyeStat.com assets. He is clearly excited to see the site that he and his wife Donna created come back to life. RunnerSpace.com is headquartered in Eugene, Ore., and provides a breadth of coverage of running and athletics through a mix of written, photographic and video content, some of it user-generated. Adding DyeStat.com seems like a natural fit for the site which already has a strong high school following. The site recently wrapped up their coverage of the Nike Cross Nationals in Portland, Ore. This is just great news. More than anything it ensures that we have a central location for meet results. But I also think that most of us just have a very large place in our hearts for dyestat. There’s been so many changes and different comebacks that I just can’t bring myself to be hopeful. Tracktalk has grown in popularity, and now has a somewhat small niche. Well the reason we all migrated here was because the old message boards were shut down. Unless our kind hosts don’t feel like continuing to pay the cost of maintaining servers/domain name/computer-y stuff I don’t know about, I’d imagine we’d all stay here and use Dyestat more for a centralized location for results rather than migrate to the new boards. Maybe we could convince the Dyestat operators to direct their viewers who aren’t already on here to register for an account here or something. Hey guys, Chris from RunnerSpace.com, we are excited to let you guys know that DyeStat will be relaunching on Thursday. We hope you’re just as excited! Not excited but if they can keep a good stats list I’ll be pleased. More stats, less John Dye. John has retired and will not be involved. We’re moving forward while remembering his legacy and contributions to the sport. SteveU will be the big man on campus. TFX will be live and up to date on Thursday. SteveU el jefe, the head honcho, in charge! … the old forums FTW. the runnerspace “forums” are so full of crap. Why do I get the feeling that Brett Favre is behind this?